Removes rusts, sediments, worms, colloids, sediment & most bacteria. 2L/min high-speed flow rate gives you plenty of clean water instantly. Two water flow types: unfiltered spray or filtered spray. Easy installation on almost any type of tap with screw thread. Quick, easy and secure filter cartridge replacement. - Be sure to have all the required faucet mounting adapters ready before installing the water purifier. - The diameter of the faucet must be between 19.5mm and 24mm. - Determine the type of faucet you are using and choose the right adapter. 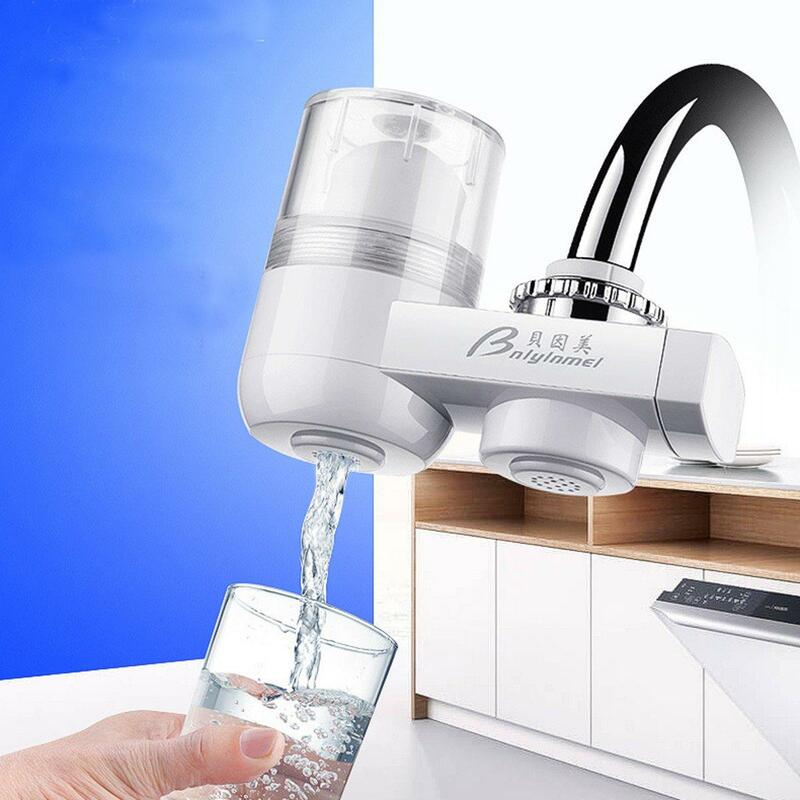 - The included adapter is a water purifier suitable for almost all kitchen faucets, however, the water purifier may not be used in some unusual sizes or faucet types that are not standard. 1. Thread the link nut through the water outlet, attach the matching adapter to the end of the water outlet, and tighten the adapter with the adapter key inside the package. * It is recommended that you first boil the filtered water before drinking. * The actual service life of the filter depends on the water quality of the local tap water and the daily usage. It is rated for 3~6 months. * Never use steel wool, abrasive cleaners or corrosive liquids to clean the water purifier. These materials may cause cracking, discoloration or deformation of the product.